The aftermath of the deadly white supremacist violence at the “Unite the Right” march in Charlottesville over the weekend has left marginalized communities across the country traumatized. It has also resurfaced long simmering debates on racial justice brought to a head in the Trump era. The stated reason for the rally, a protest of the town’s decision to remove a statue of confederate general Robert E. Lee in a local park, has prompted increased examinations of the lasting legacy of chattel slavery in the United States, and the removal of several other confederate statues by both government officials and local activists across the country. The virulently anti-Semitic Neo-Nazi slogans, ideology, and imagery of the white nationalist marchers has left many in the Jewish community rightfully alarmed and seeking solidarity with the broader U.S. racial justice movement, led by activist coalitions like Black Lives Matter. Many in the Jewish community have leaned on existing relationships with communities of color, including Jews of Color living at the intersections of U.S. white supremacy and anti-Semitism, to respond to these events. But some have fallen into disturbing patterns of lashing out at Black and Brown activists or else refusing to do the introspection and relationship-building work needed to meaningfully participate. This type of reaction only solidifies serious issues of racism within the Jewish community, and creates further barriers to meaningful coalition-building between marginalized peoples. And it’s got to stop. While Rosenberg is right that Jews deserve a place in interfaith anti-racist struggle, he dismisses and belittles the basic work such a struggle demands. The discussion of varying Jewish access to whiteness in the United States is not an abstract exercise, but an honest and much-needed examination of power and privilege under systems of state oppression. Rosenberg’s piece itself is an example of the necessity of doing such work, as he wrongfully represents Jews as having a single race to debate, rather than having a multiplicity of racial identities and experiences of oppression. This way of discussing Jewish identity erases Jews of color, who have been the primary force pushing these discussions in our community, and implicitly treats white American Jewish identity as the default. His argument isn’t a denial of the fact that Jews can be white, but rather a demand that it remain unspoken, and that the crucial questions of privilege that ensue from the debate of whiteness be shunted, at least for now. The impact of this position is to not only to reject basic tenets of the racial justice struggle, but to steamroll the ongoing racial justice struggle within the Jewish community. But this attempt to sideline these questions is not unique to Rosenberg. It’s part and parcel of some long-held anxieties of some in the Jewish community around issues of intersectionality – anxieties which are especially dangerous when some in our ranks have openly taken the side of white nationalists, specifically in opposition to those fighting back against their racism. Along similar lines, a post in Jews News, an Israeli right-wing news site run by Boston-born Eliyokim Cohen, declared, “I’m an Orthodox Jew in Israel but liberals have become so deranged with hypocrisy, I’m actually standing with the KKK on Charlottesville.” Hardline pro-Israel extremist groups like the JDL have also sided with white-nationalists in the past, even at the expense of Jewish communities under attack like those in Richard Spencer’s hometown of Whitefish, Montana. Such open identification with white-nationalists over and against the racial minorities targeted by them is obviously at the extreme end of the Jewish political spectrum. There are many shades of grey between arguing that we should put aside the question of whether Jews are white on the one hand, and full on denial of the dangers of white supremacists on the other. But if you deny Jews of Color, and people of color more broadly, the right to point out white privilege even among Jews, you are opening the door the same kind of denial of white privilege that’s so rampant in white supremacy. Indeed, the sad truth is that the extreme right are not been the only ones in the Jewish community to treat Black Lives Matter and other racial justice organizers with suspicion and hostility. Since the outbreak of the Ferguson protests, mainstream and even left-leaning Jewish groups have maligned Black and Brown activists over everything from tactics to political associations. Jewish community spaces have rescinded support and local JCRCs distanced themselves from broad-based BLM organizing following the Movement for Black Lives Platform’s language supporting Palestinian rights, the result of long-standing ties to between Black and Palestinian organizers. This phenomenon has lead to the treatment of Black and Brown communities struggling for justice as a potential threat to Jews, and an almost knee-jerk reaction from some in the Jewish left who view anti-racist organizers as gatekeepers to intersectional struggle, rather than allies to build with. This week, Jewish television-star Mayim Bialik caused an uproar when she took to Facebook to call out the March for Racial Justice, for scheduling their national gathering on September 30 this year, a day that coincides with Yom Kippur. The stated reason for the date of the POC-led march was to mark the anniversary of the Elaine Massacre, the 1919 mass lynching of over 200 Black people in Arkansas. Without acknowledging the tragic history behind the march’s date, Bialik called the scheduling “absurd” and linked to an article about the exclusion of pro-Israel Jews from intersectional protest spaces in solidarity with Palestine. This caused an immediate backlash within the Jewish community, with many condemning the march date as exclusionary without further reflection. While many spoke up to demand Jewish representation in the march, little of this reaction engaged with the poignant reasons for the event’s date, causing an outcry from some Jewish activists of color. We are marching in solidarity with our Jewish brothers and sisters who are observing the holiest of days on the Jewish calendar. Holding fast to Jewish tradition is also an act of resistance, in the face of growing anti-Semitism. We recognize and lift up the intersection of anti-Semitism and racism perpetrated by white supremacists, whether they wave Confederate flags, don swastikas, beat and kill people on the streets in Charlottesville, deface Holocaust memorials, or threaten and harass members of our communities and our religious and community spaces. In releasing this statement March for Racial Justice organizers modeled the exact kind of solidarity many in the Jewish community have been asking for but sadly unwilling to engage in themselves. Real racial justice struggle is courageous work that involves self-examination, honest assessments of privilege, and a willingness to admit and be accountable for harm. Black and Brown organizers, both inside and outside the Jewish community, must be treated as partners to build with, and not gatekeepers or potential threats. Anti-racist organizing is not a commodity to be fought over, but something you build with your brothers and sisters in struggle. Rebecca Pierce is an African-American and Jewish filmmaker, activist and journalist. 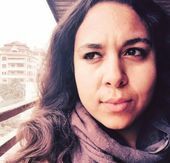 She is a core member of the Jews of Color and Sephardi/Mizrahi (JOCSM) Caucus organized in partnership with Jewish Voice for Peace, where she is Editor-in-Chief of the racial justice blog Unruly. This story "Jews Must Stop Viewing Racial Justice Organizers As A Threat" was written by Rebecca Pierce.